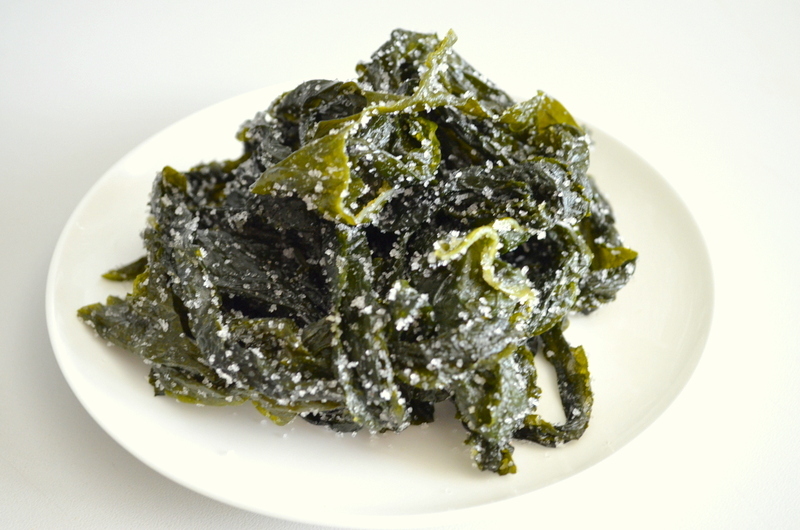 Wakame is seaweed consumed in Asian countries like Japan and Korea. I first got introduced to this thin and stringy seaweed when I lived in Japan, where it was a common ingredient in miso soup. 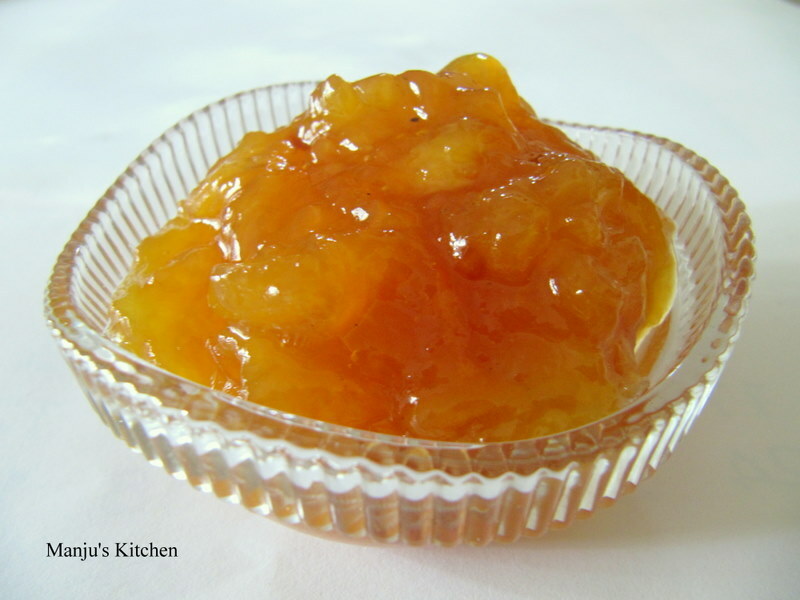 These days it is very popular among nutritionists because of its health boosting qualities. 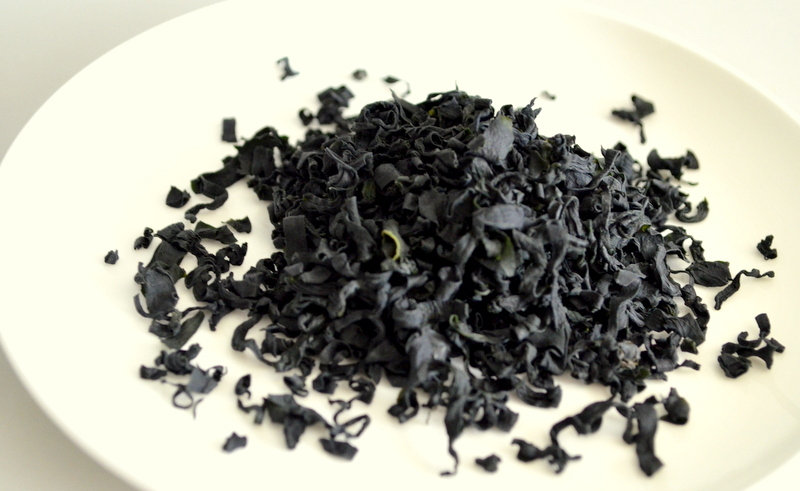 Recent studies have found out that a compound in Wakame can help to burn fatty tissues of internal organs. It is very rich in calcium and iodine along with other minerals and omega 3. It comes in dried and partially dried salted form. I prefer the dried version as it can be kept at room temperature and it takes only a few minutes to rehydrate them. Simply soak them in cold or slight warm water until they look rehydrated, fresh and green. 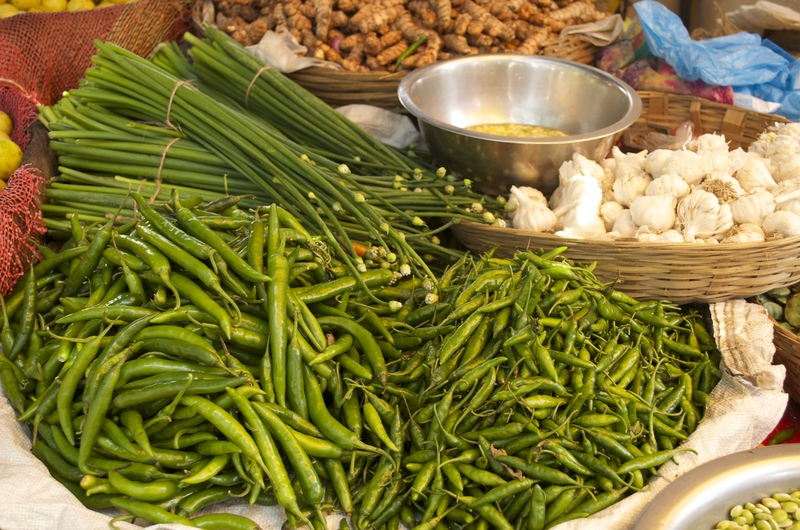 It has got a slight slippery texture and pleasing mild flavour and is very versatile and you can use it in soups, salads and stir-fries. 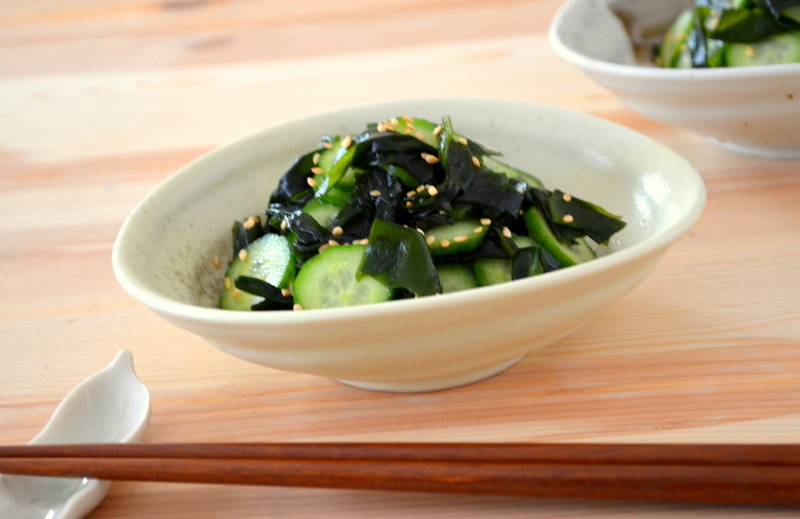 This is my favourite side dish ( called sunamono in Japanese) using crunchy fresh cucumber slices, chewy wakame seaweed and a sweet rice vinegar dressing with a sprinkle of fragrant toasted sesame seeds. It tastes delicious when served along with grilled meat or fish. Mix¼ teaspoon of salt with sliced cucumber, leave aside for five minutes and squeeze out the liquid. Mix rice vinegar, ¼ teaspoon salt and sugar in a bowl. 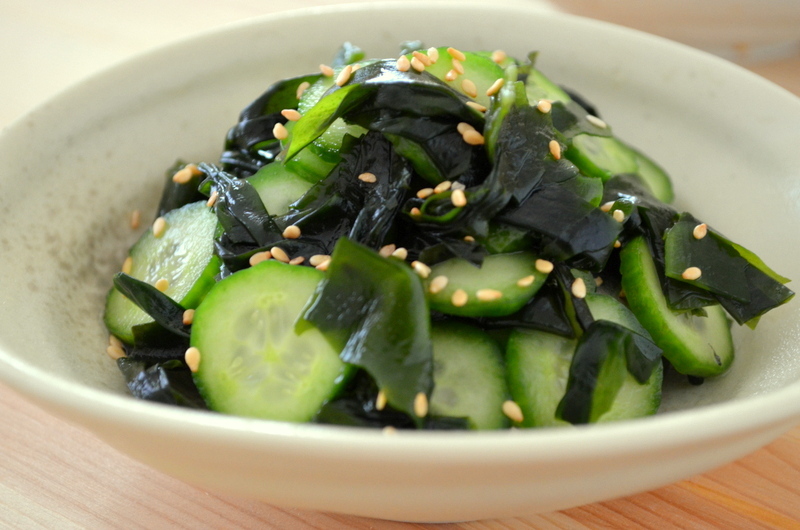 Add cucumber and wakame, mix and serve with toasted sesame seeds on top.